When Temps Drop Head South - Ski. Play. Live. 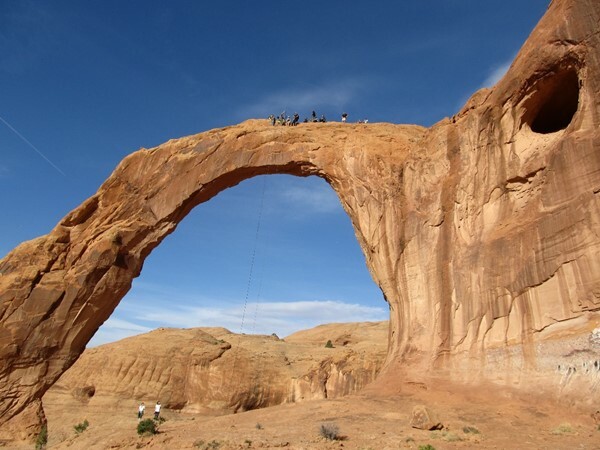 Fall is prime travel time in Moab for “consistently perfect weather, zany community events and backcountry trails just to yourself,” said Jamie Pearce, Manager of the Moab Adventure Center (225 South Main Street, http://www.moabadventurecenter.com/). twists and turns among sandstone fins, towers, spires and arches or drop into Ephedras Grotto/Medieval Chamber Canyon on a warm afternoon either with a guide or friends with canyoneering simul-wrap experience. Take advantage of the Fee Free National Park Days Sept. 28 and Nov. 9-11 to explore Arches and Canyonlands national parks. Everyone knows Moab=mountain biking. Take a tour or grab a map to find the fall foliage of the La Sal Mountains. Moab Artwalk: Downtown Moab businesses and community organizations open their doors from 6-9 p.m. Sept. 14, Oct. 12 and Nov. 9 so the public can stroll through featured art exhibits. Moab International Film Festival: Dramatic documentaries, environmental landscapes, outdoor action and more will be screened Sept. 20-22. 10th Annual M.O.A.B. (Mother of All Boogies) Skydiving Festival: More than 300 international skydivers will jump from two or three giant twin-turbine airplanes at 13,000 feet, Sept. 25-29. That’s 60 seconds of freefall at 120mph. Slap sunscreen on that red neck and get ready to ride in the Red Rockin’ Rendezvous Sept. 25 – 29. 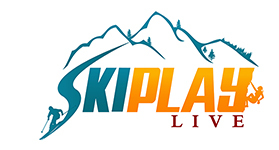 ATV & UTV trail rides, skill clinics, machine rodeo, dinner, raffles, prizes, and vendors will wash over the Old Spanish Trail Arena (3641 S. Hwy 191)in Moab. 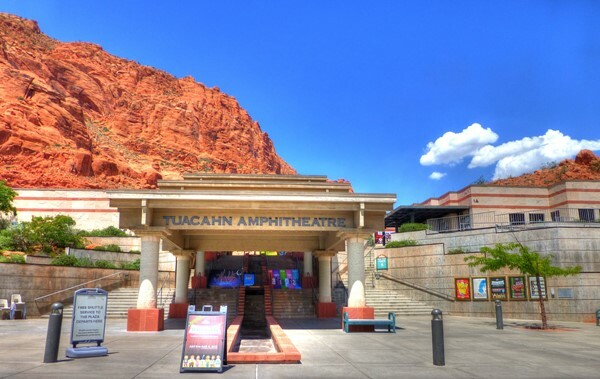 Shows at Tuacahn Amphitheater continue through the end of October and while you might sweat your pants off in July, the gorgeous redrock arena just west of St George is primed for fall. Tuacahn showcases family friendly, Broadway quality productions that will leave you wanting to see every production in the lineup. For sure, don’t miss Mary Poppins. Live horses parade across the stage and real fireworks light up the night sky. Plus, the talent and crew are as good as it gets. Julie Andrews would have been proud. FYI- Be sure to bring a blanket and coat. When the sun dips under the stars so will your body temp. 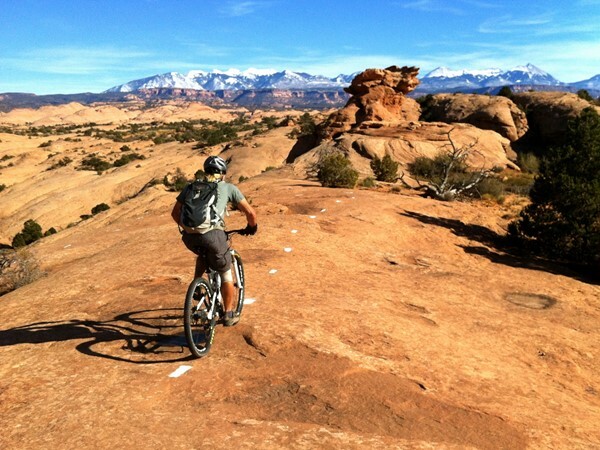 Make the 8th Annual Moab Ho-Down Mountain Bike Festival and Film Fest an annual Halloween event. From Oct. 24-27 it’s bikes and movies. Thursday and Friday night are the movie nights at Star Hall. Saturday is race day with a Super D and a Downhill race. Saturday night is the outrageous costume party with live music at Moab Brewery. Sunday is the Dirt Jump Jam at Moab’s newly updated bike park. Pumpkin Chuckin’ Festival at the Old Airport Runway, eight miles south of Moab, raises money Oct. 26 for the Youth Garden Project. Look for pie-eatin’ and costume contests, food vendors, arts and craft vendors, Weiner dog races, game booths, kids activities, live Bluegrass music, slingshots, catapults, and air cannons shooting giant gourds through the sky. Of course, if you can’t make it out to Utah this fall, December, January, February are even good times to go; unless you plan on camping. The high desert gets frigid on winter nights. The good news is that local motels run cheap that time of year. I told my friend that the only time NOT to visit Moab is July and August when temps have been known to roast people. Literally. So go ahead and live it up on those New England beaches while you can.